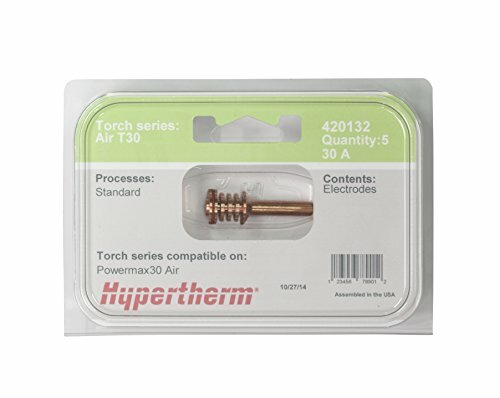 Replacement pack of electrodes for use on the Powermax30 AIR plasma cutting system with the AIR T30 handheld torch. If you have any questions about this product by Hypertherm, contact us by completing and submitting the form below. If you are looking for a specif part number, please include it with your message.